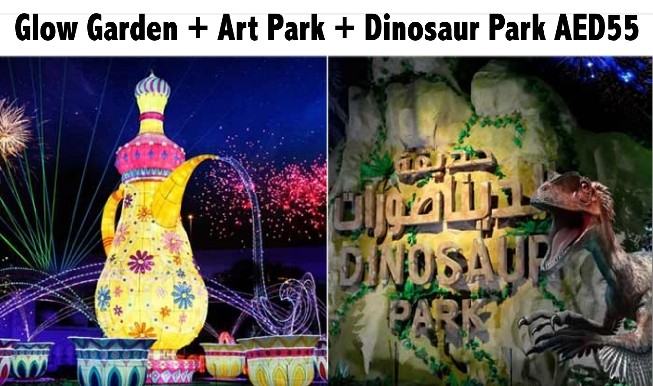 Get access to all 3 parks (Glow Garden + Art Park + Dinosaur Park) for only AED55. -E-tickets for Glow Garden will be sent after booking confirmation. -E Tickets can be issued on the same day.